From the beginning of May, the shapers team works on the different courses that will welcome the competitions ! Experience Crankworx Les Gets 2017 close to the action in the VIP Areas ! 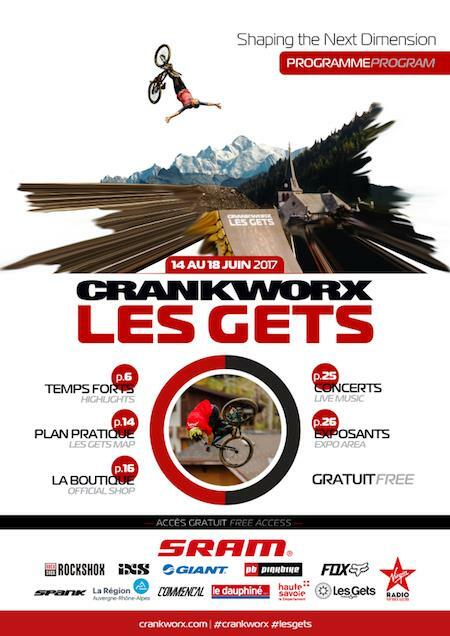 Access to events at Crankworx Les Gets 2017 is free of charge, however, VIP Passes are available so that you can enjoy the ultimate experience, including a deidcated bar and dining service along with other benefits.WHAT IS INCLUDED ? 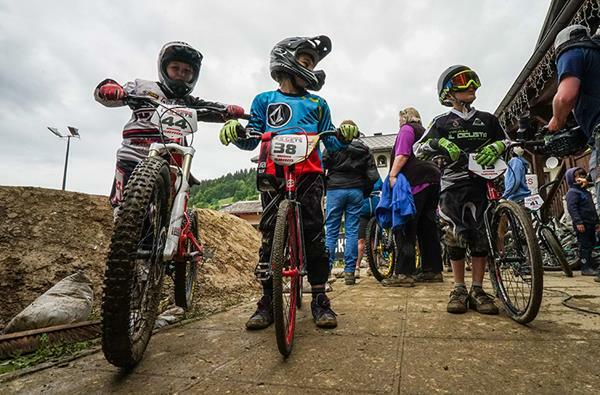 For the second time in Europe, the Crankworx festival caters to children with three original events created especially for them - a Pump Track contest, Dual Slalom and Downhill. So that they can be just like the grownups ! A fun competition open to all riders with a mountain bike no bigger than 20 inches! Bikes can be borrowed on-site. The Challenge will take place on the Dual Speed and Style track. A fun competition open to all riders. The chance to try your hand ata competition without setting yourself any limits thanks to electric mountain bikes. Come and defy the impossible Carry climb. With your E-bike, anything is possible! Nothing about MTB in this event, even if it’salways about gravity ! It’s a simple principle :cheese-lovers will launch themselves into thehill after an hurtling wheel of cheese. Light on MTB is an international MTB film festival. Its aim is to promote film productions by mountain bike enthusiasts. Light on MTB boldly combines audiovisual techniques and sporting performances to bring you the top MTB films. 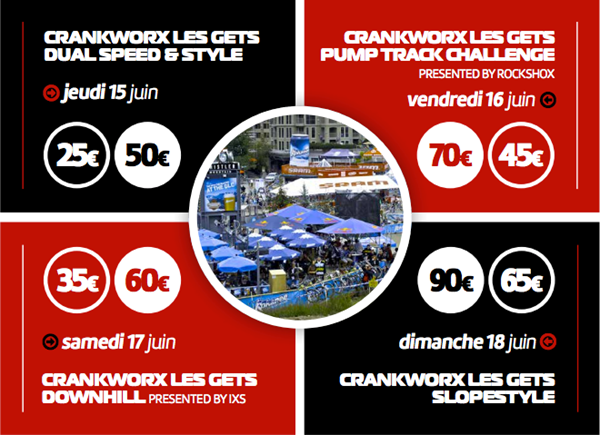 See you tomorrow for the seconde edition of Crankworx Les Gets festival !